"Welcome to 23185 Sparta Rd! 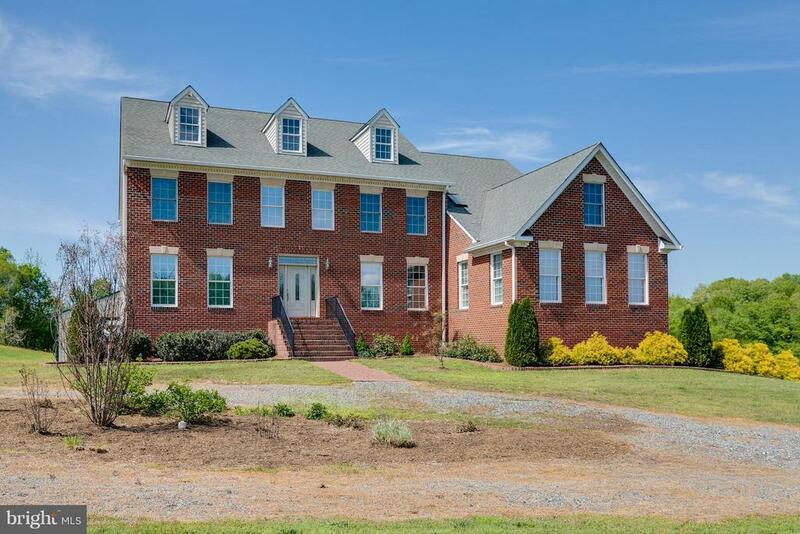 Located 10 minutes from the town of Bowling Green and 20 minutes to I95, this lovely home is situated on a 27.46 acres and features 6,000 finished SF, 2837 unfinished basement, 4 bedrooms, 3 baths, attached 3-car garage, detached 3-car garage w/ a lift, and 64'x33' pole barn. Huge deck, 2 story foyer, backup generator, and the list goes on and on!" 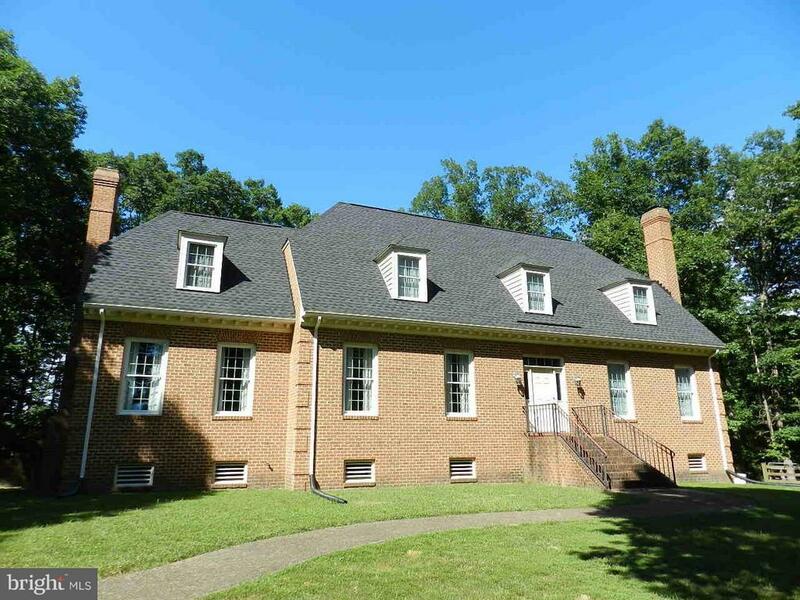 "Stately All Brick Farmette set back on a wooded 37 acre estate. Former Beef Cattle Farm. Approx 30 fenced acres with barn. Solid, Quality Constructed home with over 2,700 sqft home filled with hardwood floors, 2 fireplaces, New Roof in 2014,Energy Efficient Geo Thermal Heat/ AC, 2 wells & Auto Water Feeder. Partially finished basement perfect for in-law suite or rental potential. Sub-dividable." 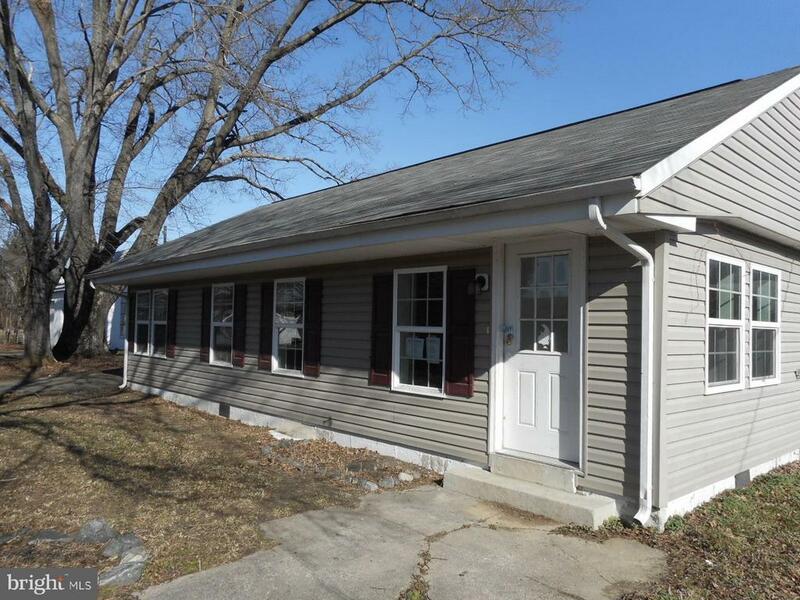 "Welcome Home to a beautiful brand new 3 bedroom, 2 bathroom rambler w/ unfinished basement. Light & airy w/ open floor plan, vaulted ceiling w/ wood beams in kitchen/living room, granite kitchen counter tops, stainless steel appliances, hardwood floors & tiled bathrooms. 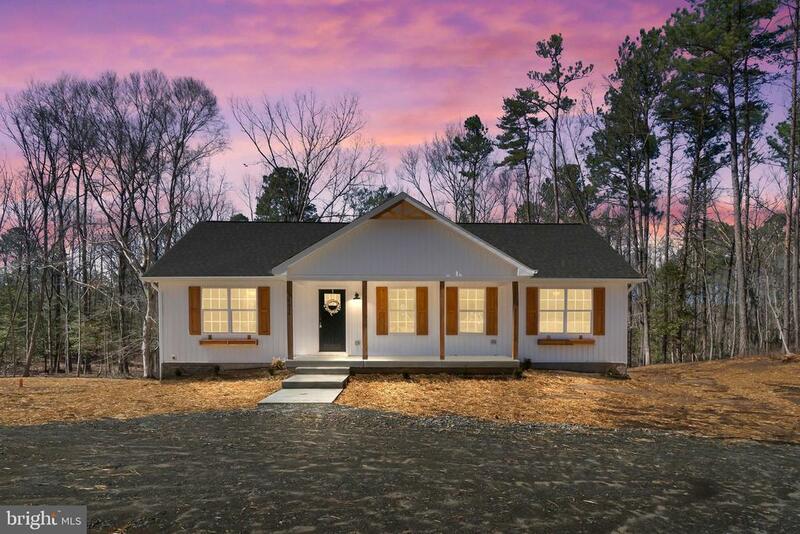 Minutes from stores, dining & sitting on 1.5 acre! This home could qualify for 100% financing." "4 Bedroom Home on Over 1/2 Acre of Land!! Renovated to Include: Stainless Steel Appliances, Granite Counters, Carpet, Paint, Upgraded Lighting and Fixtures, New Roof, Hvac and Hot Water Heater. 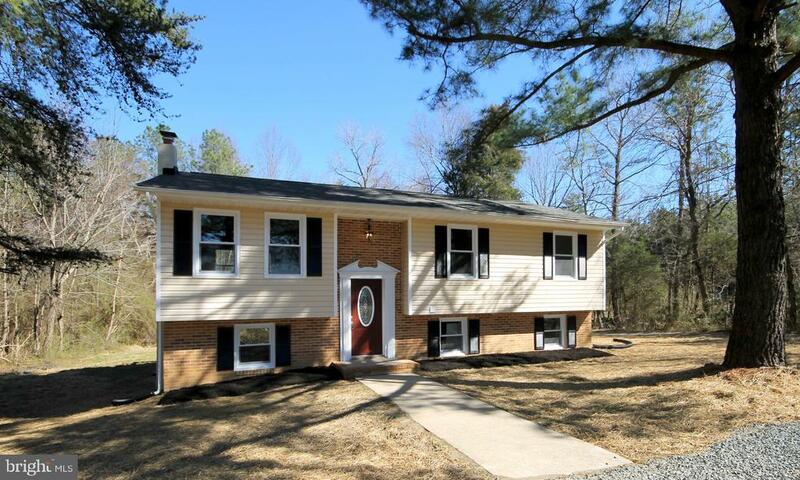 Home Offers: Owners Retreat, Recreation Room, Large Living Room, Backs To Trees." 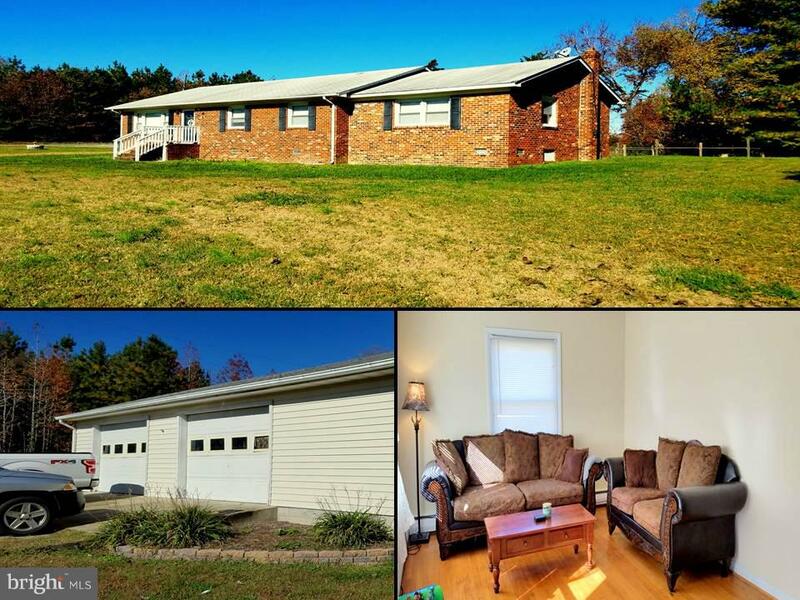 "SPACIOUS COUNTRY BRICK RANCH HOME ON A NICE 1 ACRE CORNER PARCEL IN BEAUTIFUL CAROLINE COUNTY COUNTRYSIDE. LEVEL YARD ALL AROUND WITH A 2 CAR DETACHED GARAGE. HARDWOOD FLOORING, LARGE ROOMS & FAMILY ROOM ON THE END WITH IT'S OWN CHIMNEY FOR THE FREE-STANDING WOOD STOVE. SOME LANDSCAPING, WOOD FRONT & REAR STEP RAILINGS. HOME NEEDS SOME UPDATING & HAS LOTS OF POTENTIAL!Just needs some TLC!" 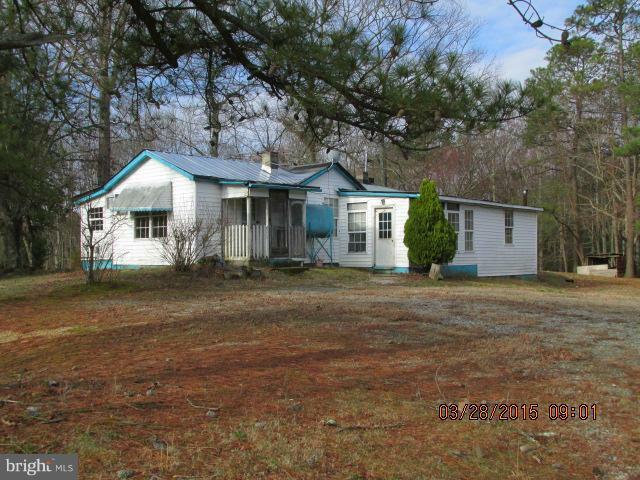 "Cute brick home on an 11 acre parcel with endless potential." "Two lots for the price of one! One lot with a two bedroom house and a detached garage, the other undeveloped. Buyers agent/Broker need to be actively registered with HUD. HUD Homes are sold As-is with any/all faults No post-closing repairs or payments made by owner/asset manager. Insurable w/ repair escrow (Which applies only to FHA 203K). Trespassers will be prosecuted by seller." "Two Properties, One Price!!! Great opportunity to own a home and business that are co-located. 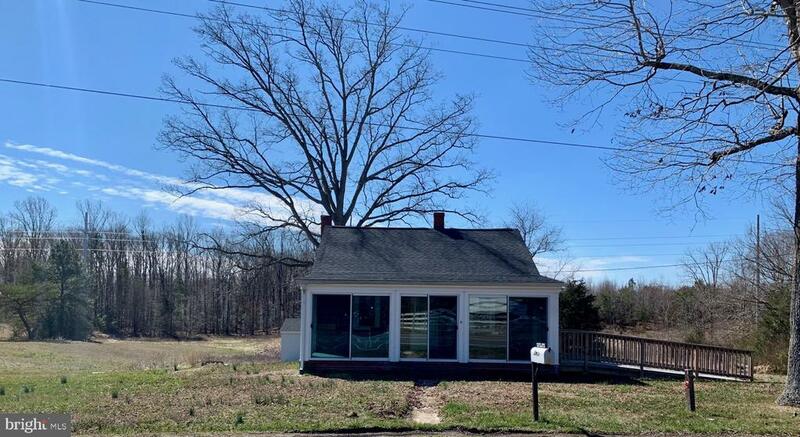 House is being sold with the property located at 18520 Passing Rd, a 4 acre parcel zoned Commercial with a garage, previously used as a garage / auto salvage yard. 3 Bedroom, 1 Bath ranch located in the community of Central Point. Sold AS-IS. Purchaser responsible for all inspections." "Great investor opportunity! As is ! Good location! No hoas !"